The little spotted cat is a wild cat species found in South America. It is the smallest of the three cats in its genus Leopardus, which includes the ocelot and the margay. Adults weigh only 4 to 8 lbs on average and can only reach up to 25.5 inches long. The tail can reach up to 13 inches long. Males are slightly larger than females. Their coats are typically tan to tawny in color and marked with black-blotchy spots, and there are black rings on the tail. There are also pale markings appearing on the face. The back of the ears are black with a white spot, the fur is thick, soft, and short, and the underparts are white. Although adults have a small frame, they are excellent climbers and hunters. This species is found in subtropical, humid evergreen and mountain cloud forests. They have also been reported in semi-arid thorn scrub in northeastern Brazil, dry deciduous forests in Venezuela, and also abandoned eucalyptus plantations. They are not commonly seen, and it is believed that they are nocturnal and solitary. Males are territorial and patrol boundaries, and they are even aggressive toward females. Diet consists of small rodents, birds, insects, and reptiles. They have also been observed eating small primates in Brazil. The reproductive behavior of this species is only known through the study of mating pairs in captivity. Females give birth to one to two kittens after a gestation period of 74 to 78 days. 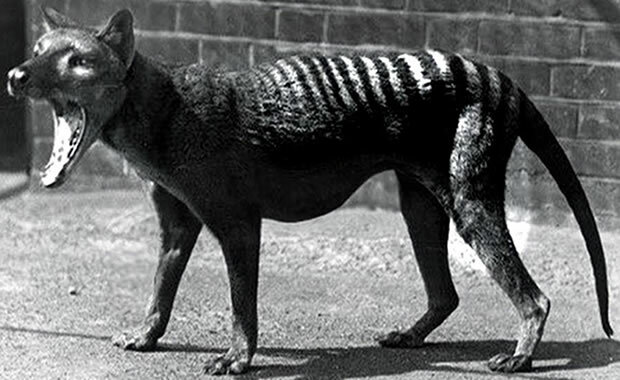 This species is threatened with extinction due to hunting for its fur and deforestation. It is legally protected in several countries, but in others, hunting is still allowed. The habitat of the species is commonly used for coffee plantations, but sightings in deforested areas and abandoned plantations suggest an ability to adjust to human disturbance. Copyright Notice: This article is licensed under the GNU Free Documentation License. It uses material from the Wikipedia article "Oncilla". Glenn, C. R. 2006. 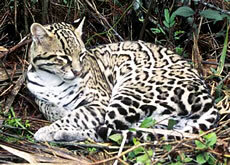 "Earth's Endangered Creatures - Little Spotted Cat Facts" (Online). Accessed 4/25/2019 at http://earthsendangered.com/profile.asp?sp=65&ID=11. Need more Little Spotted Cat facts?